Well, summer is officially here for us. Today was the last day of school for the kiddos. Nothing could be sweeter to them!!! As a mom, I wanted to do something to make their ‘entry’ into summer a bit special, but I’ve been short on time and creativity lately. 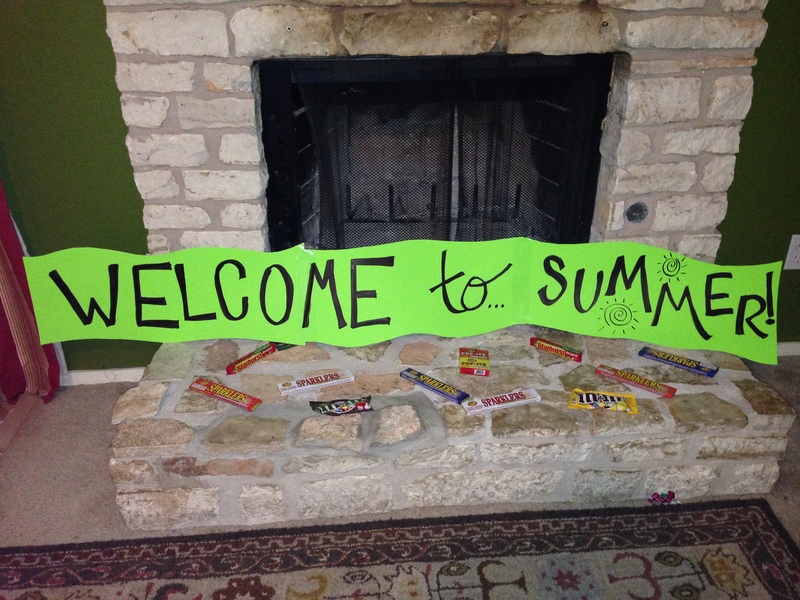 I remember seeing this on Pinterest … I’m sure I even have it pinned somewhere, but it came to mind … it’s easy and doable and I think it will help communicate my excitement for summer to my kiddos! The green is just poster board that I cut in wavy lines because it’s cute and mostly because I can’t cut a straight line!!! My original thought was to paint it, but I was short on time so I just used one of those big fat black permanent markers. I threw down some candy and sparklers and viola! 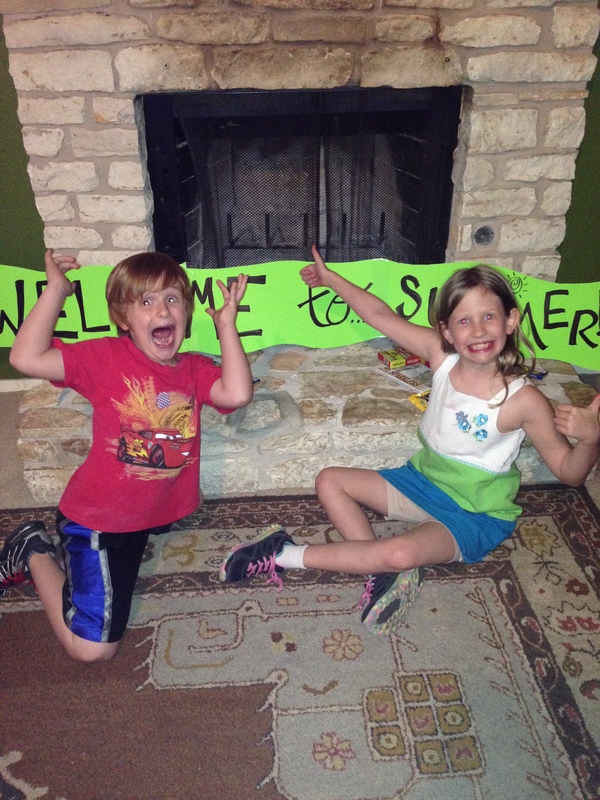 Here’s how my children responded when they got home … I’d say they were excited! What do you do to celebrate things with your children? I love, love this. You are an awesome Mommy!